Russia is calling on other states to join efforts to combat nuclear terrorism. 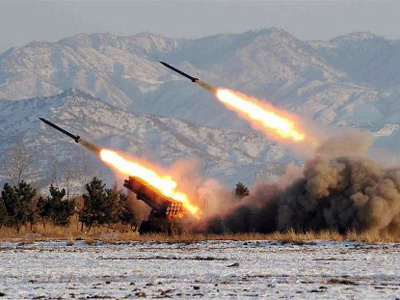 This comes ahead of a summit in Seoul to manage tensions linked to North Korea’s rocket launch scheduled for April. ­The planned launch will be one of the key issues at the summit in Seoul on March 25-27, when around 50 world leaders are expected to gather. Among those attending are Chinese President Hu Jintao and US President Barack Obama. Russia and the United States, Lavrov writes in his article in The Washington Times, the “most advanced states in terms of nuclear energy use,” have put an end to the Cold War and the arms race, including the nuclear one. He pointed out that Russia supported the idea of holding a nuclear security summit (NSS) put forward by President Obama in 2009. The first summit took place in 2010 in Washington. Lavrov also noted that Russia had signed and ratified the Convention on the Physical Protection of Nuclear Material and its amendment, as well as the Convention for the Suppression of Acts of Nuclear Terrorism, adopted by the international community at Russia’s initiative. The Russian foreign minister called on those countries that have not yet done so to do so. “We support the implementation of the IAEA Nuclear Security Plan for 2010-2013, and also the agency’s proposal to hold an international conference on nuclear security issues in 2013,” he wrote. The recently announced long-range rocket launch, which will also carry a satellite, on April 12-13 is scheduled to mark the centennial of the birth of North Korea’s founder, Kim Il-sung, which is on April 15. A number of countries have expressed concerns over the upcoming launch. 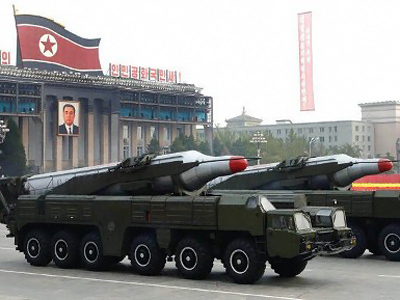 The West says the move comes as a violation of the UN Security Council resolutions 1718 and 1874, prohibiting the development of ballistic missiles by the country, as well as the conducting of nuclear tests. The US administration announced on Thursday that President Barack Obama considers the North Korean “space experiment”, involving the launching of a ballistic missile with a mounted satellite, a “provocation” and a direct violation of international agreements. For its part, the North Korean Foreign Ministry claimed the West was using double standards by denying the country the right to launch satellites while such a practice is commonplace in Western states.